There are an estimated 100,000 stray and feral cats in Toronto, and colonies can be found in every neighbourhood in the city. 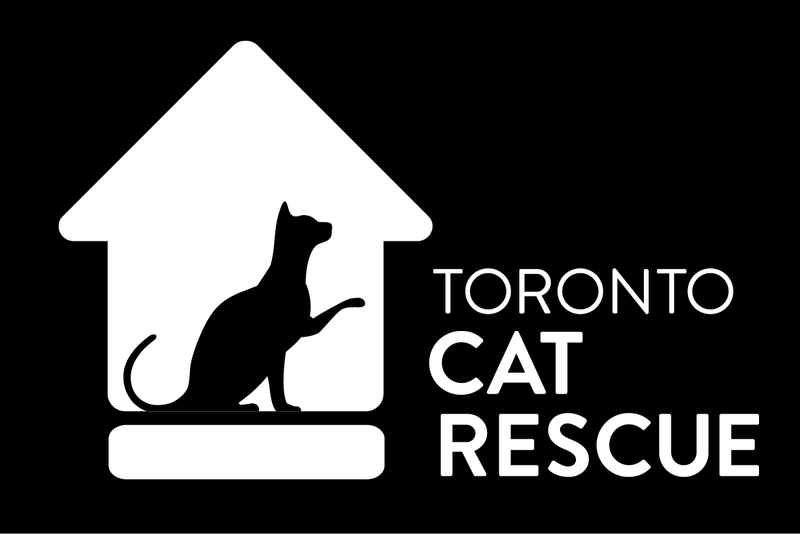 As a member of Community Cats Toronto, Toronto Cat Rescue can help you help these cats by providing you with the information and knowledge to get you started helping feral cats. Please contact our volunteers for advice via this online form. Unfortunately, Toronto Cat Rescue can NOT help with trapping feral cats and/or provide foster homes for community cats, as we do not have enough volunteer resources. Feral cats may have once been domestic and turned wild to survive outdoors, or cats that were actually born wild. They are definitely not your typical friendly kitty cat! They do, however, multiply at an alarming rate (2­3 litters per year! ), and can lead miserable lives which end with slow starvation, sickness, or freezing to death without your help. Some communities find them a problem and want to be rid of them, and other people show their concern by feeding them. It is not enough to just feed them; these cats must be spayed and neutered so that they no longer reproduce more sick and hungry kittens. Fortunately there are ways that you can access FREE spay/neuter surgeries for the community cats that you care for. Trap­-Neuter­-Return (Manage) is a proven effective program which tackles overpopulation at its core. Feral cats cannot be socialized as adults to become domestic indoor cats, despite being exactly the same physically as your pampered pet. Handling them is equivalent to dealing with a wild animal. We can’t stress enough how many people make the mistake of underestimating what a feral cat is. Despite their nature, these cats deserve to live their lives and euthanizing them is not only inhumane, but it is also ineffective at ending the problem in the long­term. Spaying/neutering and returning these cats to their stomping grounds allows them to enjoy their lives in peace, while ensuring no more kittens are born into this hard existence. Community Cats Toronto hosts monthly workshops for residents of Toronto and southern Ontario on how to humanely trap, spay­-neuter, and return feral cats to their colonies to control their population size. Toronto caretakers who attend the workshop will be eligible for access to the Toronto Animal Services (TAS), Toronto Street Cats (TSC) & Toronto Humane Society (THS) free spay/neuter clinics for ferals. If you live outside of Toronto, services at Toronto Street Cats Spay Neuter Clinic and Toronto Humane Society are still available for your ferals. KWCC (Kitchener­-Waterloo Community Cats) is a TCR project formed with the goal of implementing a community­ run Trap Neuter Return Manage (TRNM) program for the region of Waterloo. Through this project, caretakers of unowned community cats, stray cats and barn cats may be eligible for access to free spay/neuter services. Read more about Kitchener-­Waterloo Community Cats here. Feral cats need to be kept in a warm, safe, dry and quiet space when recovering from surgery for approximately 24­48hrs. People are encouraged to consider using their basements or heated garages to recover their cats, however this may not be an option for everyone. Qualified caretakers (those who have taken the TNR workshop) who are not in a position to recover feral cats at home can make a reservation at the Feral Cat Recovery Centre in Scarborough. Non­-qualified caretakers and caretakers from outside of Toronto may also use the Recovery Centre for a nominal fee of $10 per cat. For more information about how you can help the feral cats in your area, fill out this online form. Please note that due to the high volume of inquiries, phone messages will not be returned. Toronto Street Cats has shelters available for a nominal donation of $15. Pick­up is at the Toronto Humane Society. Visit their website for more information. The Feral Cat Recovery Centre also has shelters available for a nominal donation of $15. Pick­up is at the Feral Cat Recovery Centre (Progress/McCowan). More information can be found here. The THS will loan traps, for a deposit (that is fully refundable) to individuals who have completed the TNR workshop. Full details how to borrow a trap from them can be found on their website. Individuals who have completed the TNR workshop are eligible to rent a trap at no cost through the Recovery Centre (located on Progress Road, in Scarborough). Trap rental is available to non­-qualified caretakers for $3/day.